Item # 300930 Stash Points: 1,795 (?) This is the number of points you get in The Zumiez Stash for purchasing this item. Stash points are redeemable for exclusive rewards only available to Zumiez Stash members. To redeem your points check out the rewards catalog on thestash.zumiez.com. From instant hits such as "Stir Fry", Walk It Talk It", and "MotorSport", the trap trio, MIGOS, have taken the music industry by storm and have come together with Stance Socks to unveil a signature line of crew length socks. In honor of their latest album Culture II, each athletic ribbed sock features unique designs that draws inspiration from not only the music but from each of the members eccentric personal style. 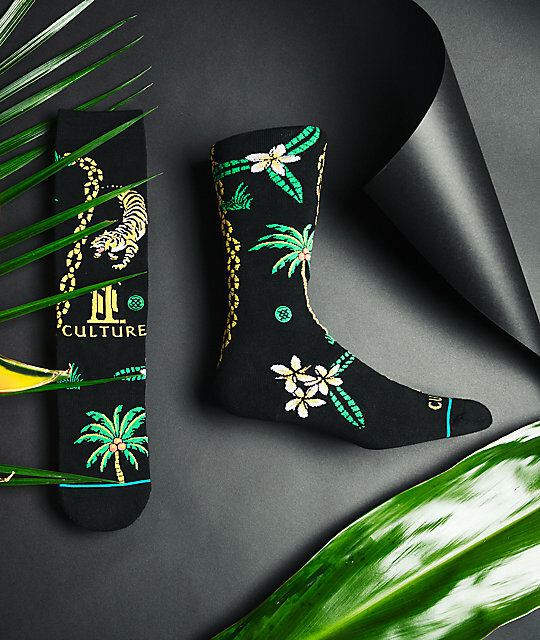 Culture II Black Crew Socks from Stance x MIGOS. 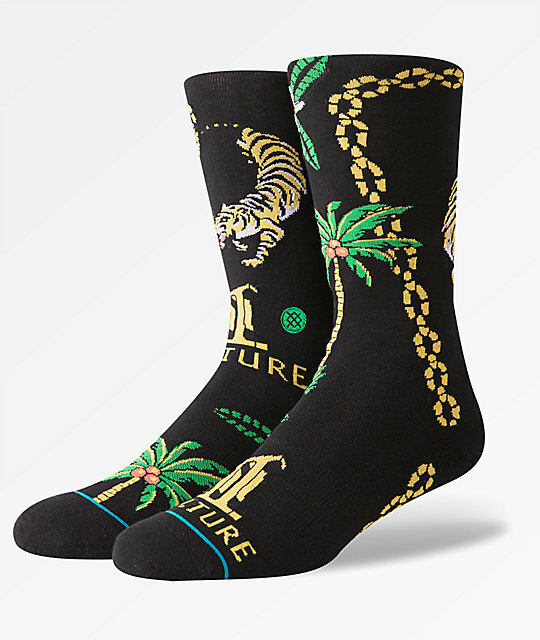 Signature Stance Socks and MIGOS collaboration.